This piece was inspired by a site in Arizona’s Red Rock Secret Mountain Wilderness, where in 2006 a campfire triggered the devastation of 4,000 acres. Visiting ten years later, the difference between the areas on either side of the fire line was still stark. I mourned the loss of the mesa’s trees but also noted new life slowly returning. 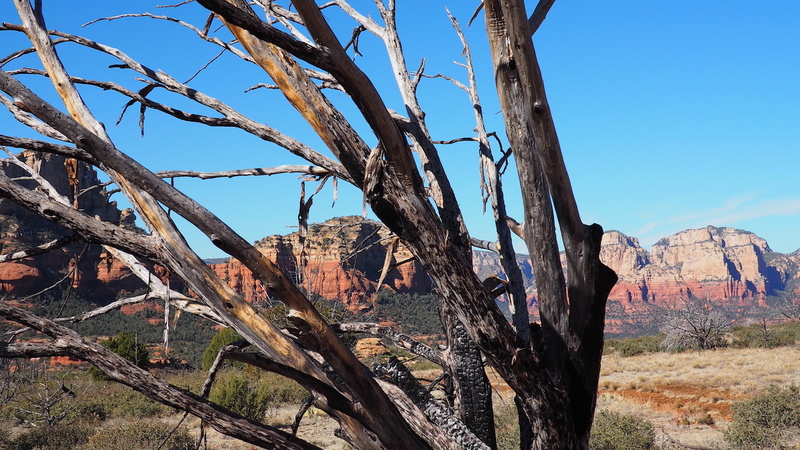 into the faithful shade of Arizona cypress, pinyon and juniper. propelled into the magnet sky! in a language I cannot understand. Let’s be quiet for a moment and listen.